I just LOVE the plain themed calendar version. Thank you so much for sharing it! I love the fillable pdf’s so much! This is perfect! Thank you! 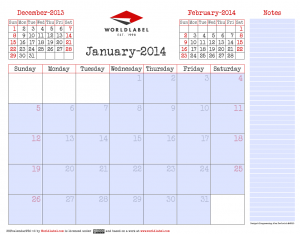 Do you have the plain calendar format from past years available for 2014 (with the date in the upper left corner)? I will have to ask the developer for you. thank you for your patience. I would also love a calendar with the same format as in year’s past please. (with the small date in the upper corner). 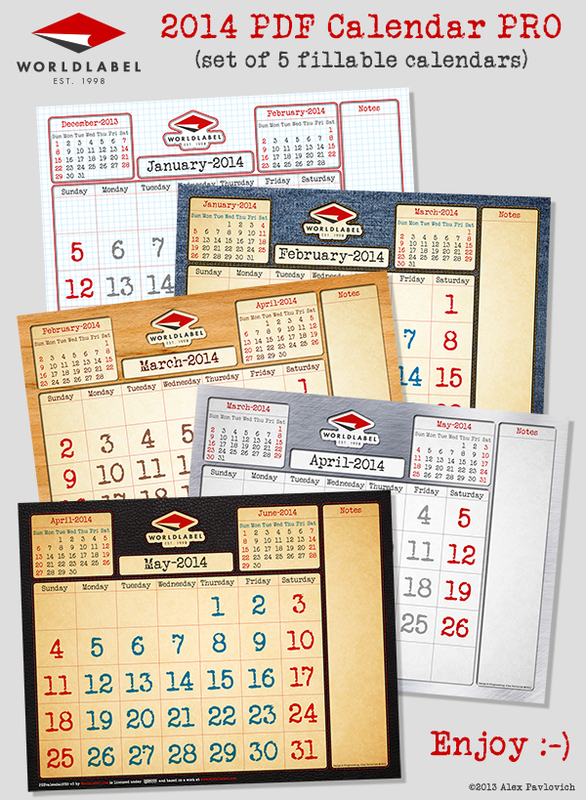 I must say…I too enjoy the old calendars. I love the new designs. But I like the functionality of the previous calendars. The large numbers of the new design make text difficult to see and I enjoyed the separate title header that the 2013 calendar had for each date. Overall a great FREE product that I look forward too every year! Oh man.. is there anyway to get this as the 2013 layout? Love the new looks, but doesn’t work well for what I do. I would be willing to pay for the old style, I know this is free, and I’m very thankful for it. I too like the calendar with the dates in the upper right hand corner. Appears a lot of people do! Thank you thank you for the 2014 calendar with the date in the corner. You guys are awesome!!!!!! Thanks again. THANK YOU THANK YOU THANK YOU so much for the 2014 calender !!! I LOVE IT! How to do you get the calendar with the dates in the corner? I tried clicking on the link but it doesn’t take me to that calendar. I tried clicking and right clicking on the picture of the calendar on this page and it does not get me to the pdf file. I must be doing something wrong. I haven’t had any problems downloading before. Is there a 2015 Version available?